The phase of the Earth as seen from the Moon is exactly opposite the phase of the Moon as seen from Earth, so that the new Moon is lit by a fully sunlit Earth. Normally the new Moon is invisible because it is lost in the glare of the Sun. 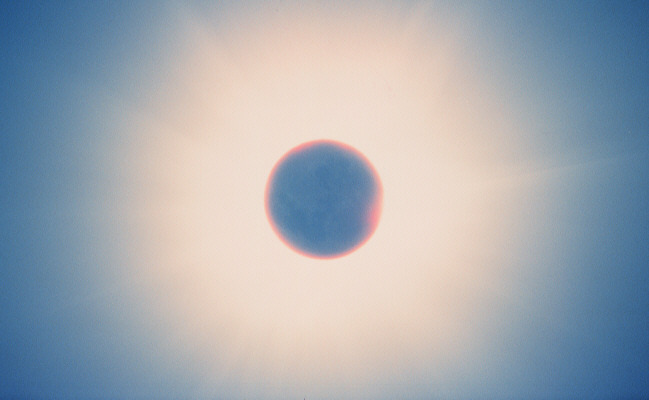 During a total solar eclipse, however, it is possible to photograph the Earthlit lunar surface. In this image the lunar maria can be seen.